Visit the Arkansas Department of Finance and Administration website (click here) to view more tax rates for the state of Arkansas. Property is assessed at 20% of the actual value. If a person has a $100,000 home, it would be assessed at 20% of the actual value, $20,000. That assessed value ($20,000) is then multiplied by the millage rate, depending on the school district that the property is located in, to determine the amount of taxes. Automobiles are also assessed at 20% of market value based on the value of the vehicle on Jan. 1 of the current year. Taxes are calculated the same. 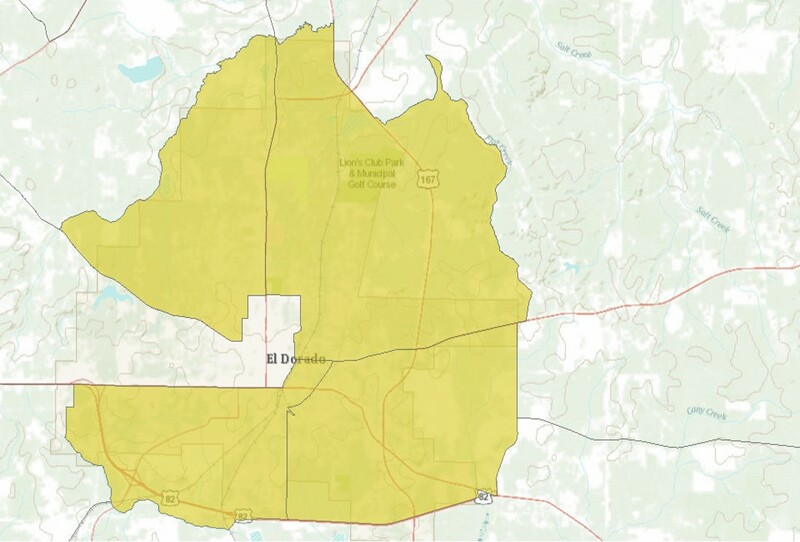 El Dorado and Union County have owned and built manufacturing plants for companies. Then, lease or sell back to the companies to make it easier for them to get started not worry about utilizing all of their own capital. Industrial property can be offered at no cost to companies that set up manufacturing operations and create many jobs. Help foreign companies set-up their business in the United States and work through the process for exporting and importing. Develop strong relationships and trust so that company feels comfortable with our recommendations for banking, hiring employees, and using attorneys. Work with federal and state agencies on any potential air permits, building permits, and water permits so the company's investment is quick and efficient. Help locate federal and state grants and loans for infrastructure and investing in property and equipment. Arkansas is next door to the fastest growing state in the United States, Texas, and offers a low cost environment for operating distribution and manufacturing companies. 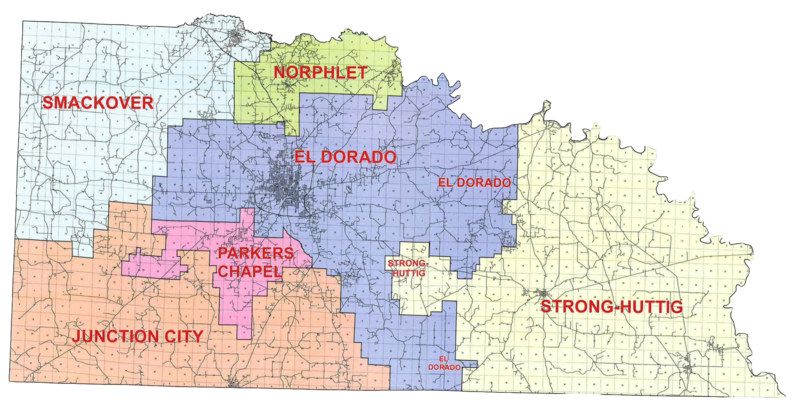 El Dorado and Union County have a 8% unemployment rate, so there is plenty of available labor. We work with the Community College and local employment agencies to help companies train employees and help screen the applicant pool to make sure you get the best ones for work. The State of Arkansas offers a full variety of incentives, tax credits, and other programs to make it very profitable to locate here. Advantage Arkansas offers a state income tax credit for job creation based on the payroll of new, full-time, permanent employees hired as a result of the project. In all tiers, in order to qualify for the Advantage Arkansas program, the proposed average hourly wage of the new employees hired as a result of the project must be equal to or greater than the lowest county average hourly wage. Currently, the average hourly wage threshold for the Advantage Arkansas program is $10.86. The payroll threshold for qualifying for Advantage Arkansas and the benefit received depends on the tier in which the business locates or expands. Arkansas's counties are ranked into four tiers based on poverty rate, population growth, per capita personal income and unemployment rate. Union County is in tier two (payroll threshold is $100,000 and Benefit Based on Payroll of New, Full-time, Permanent Employees is 2% of payroll) . View Tier Map The Advantage Arkansas income tax credit is earned each tax year for a period of five years. The income tax credit cannot offset more than 50 percent of a business' income tax liability in any one year and may be carried forward for nine years beyond the tax year in which the credit was first earned. The credit begins in the tax year in which the new employees are hired. Employees must be Arkansas taxpayers. If you have any questions concerning the Advantage Arkansas program, please call Hunter Hauk, AEDC Incentives Manager, at 501-682-1682. The Tax Back Program provides sales and use tax refunds on the purchase of building materials and taxable machinery and equipment to qualified businesses investing at least $100,000 and either a) sign a job creation agreement under the Advantage Arkansas or Create Rebate programs within 24 months of signing the Tax Back agreement or b) have met the requirements of an Advantage Arkansas or Create Rebate agreement within the previous 48 months. The InvestArk sales and use tax credit is available to businesses established in Arkansas for two years or longer which invest $5 million or more at a single location in plant or equipment for new construction, expansion, or modernization. Arkansas's Research and Development incentive programs are also available and are intended to provide incentives for university-based research, in-house research, and research and development in start-up, technology-based enterprises. 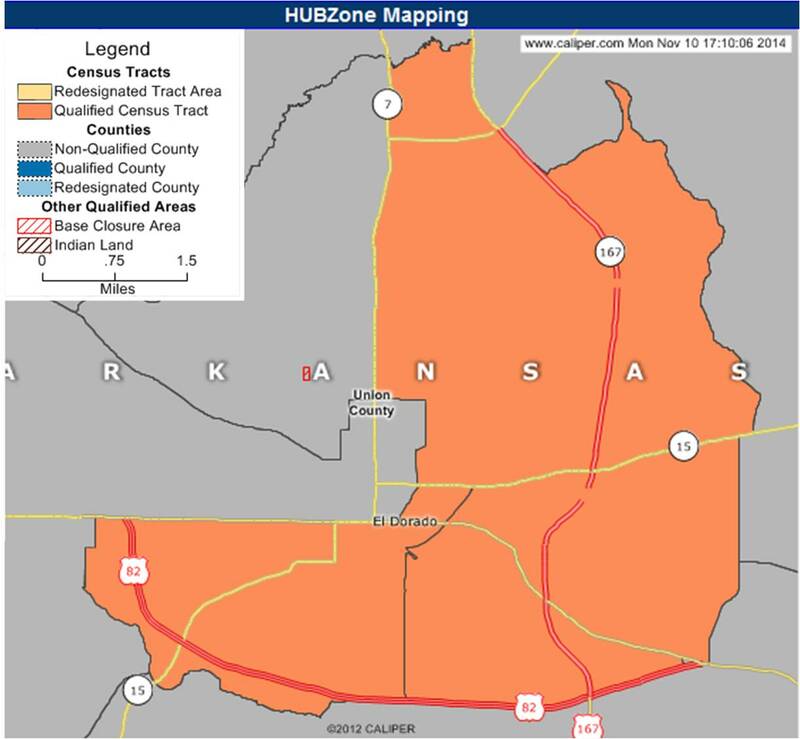 General Obligation Bonds are bonds state can issue to fund a prospect’s infrastructure needs through the Arkansas Development Finance Authority, limited to 5% of net general revenues during the most recent fiscal year. Visit the Arkansas Economic Development Commission website for more information on the above state incentives or to find out more about other state incentives such as The Equity Investment Incentive Program, The Arkansas Tourism Development Act, The Create Rebate Program, The ArkPlus Program, Sales and Use Tax Refund, Payroll Income Tax Credit, and Non-Profit Incentives.